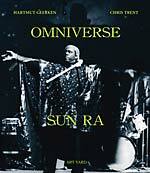 "In 1971, in Denmark, at the end of a tour, Sun Ra suddenly decided to take his whole band to Egypt. They had no concerts and no contacts there but Ra sold some recording rights to Black Lion to pay for the tickets and they flew out. They were stopped at customs and their instruments were temporarily impounded but they were let through as tourists. Then they booked into a hotel facing the pyramid at Giza. Word got to Hartmut Geerken, then working at the Goethe institute, and he quickly threw a concert together at his house in Heliopolis, for which Brigadier Salah Ragab borrowed army instruments for the Arkestra to play (he was later disciplined for it). Ra's Moog had made it through customs and a Tiger Organ was hired. One of the audience (of 25) booked the band in for a Cairo TV session the following day. Then Ragab persuaded the Ministry of Culture to book a concert at the Balloon Theatre (for another tiny audience: only the first 4 rows were occupied). Two more concerts followed -- at the American University (for the cab fare) and the Versailles Club. They stayed for more than a fortnight, making a film while they were there and finally, by band-members selling various personal items, raised the money to fly home. This release contains all the released material from that visit (3 LPs) as well as unreleased material from these same sessions. 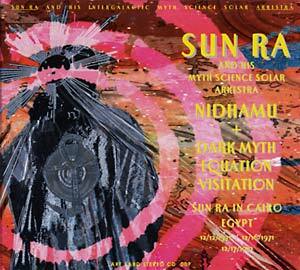 Nidhamu & Dark Myth Equation Visitation complete the Egypt trilogy. Most remarkable is Nidhamu (the second release of the series, half recorded at the Balloon Theatre, the other half at Hartmut Geerken's house in Heliopolis) -- a remarkable document: austere and very out there. Electric keyboards and an eerie 'Discipline No.11' set the scene, and after some solo Moog there's a spooky miniature 'Discipline No.15' introducing another long Moog and keyboards solo: 35 pretty abstract minutes that just slip by. 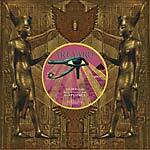 Dark Myth Equation Visitation follows (this was the first LP release, and has also been known as Sun Ra in Egypt Vol. 1 and Nature's God). The first tracks are from the Cairo TV broadcast and the whole collection features more familiar groove-based pieces characteristic of the period, interspersed with Moog and electric keyboard solos. June Tyson reappears for 'To Nature's God' and the highly eccentric 'Why Go To The Moon?'"